I'm a little late with this post, but the Holidays caught me :D We have 6 shades, one of them is a returning shade (dark purple Evening Gown) from a previous collection. The colors and finishes have a wide variety, but to be totally honest, I don't really feel the "New Year's vibe" behind it. These shades are just too casual and light/colorful for me, but I'm sure I'm going to love them in the Spring/Summer. In November the amazingly talented Maria, who's the creative mind behind Sonailicious blog created something much needed in the nail art community: a nail art sketchbook. Maria was awesome enough to send me two of the 3 nail shapes available, and now after weeks of testing I finally can write down my thoughts about it. Polishmolish.ru (formerly known as dopenails.ru) offered me 4 shades from Masura's new collections, and I choosed some pretty greens and blues (as usual :D). I choosed one of the Femme Fatale December Color Of The Month polishes for review from Nailland, this is called Festive Blithe. This and the other one (Tinsel Twinkles) has those irredescent glitters which made a huge comeback a couple of weeks/months ago, and they are going strong ever since. I'm always so excited about new ILNP collections, I just can't wait to see the first swatches of them. This season's collections weren't exceptions. My top 3 picks were these shades, and Nailland gave me the opportunity to try them out. No, I still haven't finished with the Winter/Christmas collections :D Today I'm going to show you the upcoming Christmas collection from F.U.N. Lacquer. There are some really interesting finishes here, let's see them, shall we! To be honest, I was a little bit sad that this collection doesn't have any blue/green/teal shades :D but in the end I've found some real gems <3 The Total Recall collection has 7 pretty/feminine shades, but there's some badass ones as well. Let's see them! Let's continue with another Holiday collection that I'm sure I don't have to introduce. The Cirque Colors Holiday 2016 release have 4 shades, 3 of them are brand new, and the fourth is Halcyon (welcome back!). This collection is out in the market for a couple of weeks now, but let's hear my thoughts about them! I have the gorgeous Winter collection by Delush Polish to show you today. 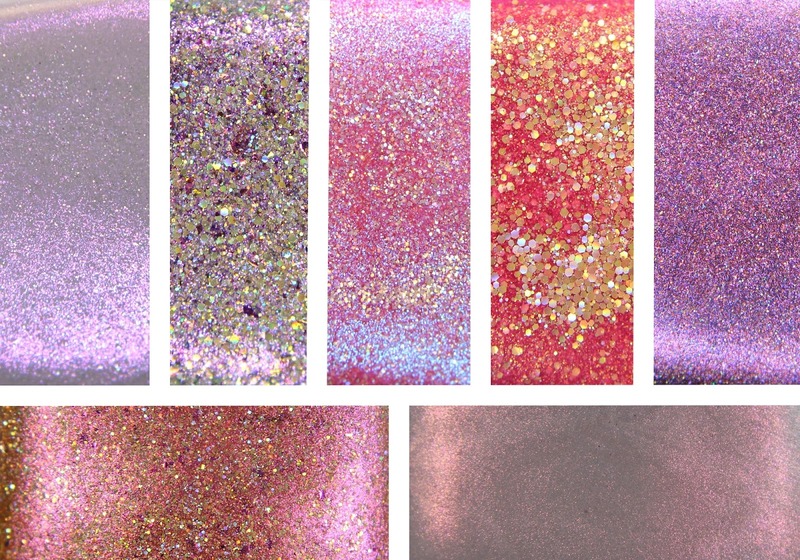 This 6 piece collection hase some blingy holographics and some glitter bombs. The new Colors by Llarowe Holiday 2016 collection is already available through stockists, but the official pre-order on the Llarowe site in on December 1st. I can finally show you my swatches of all 8+1 shades, so here you go! 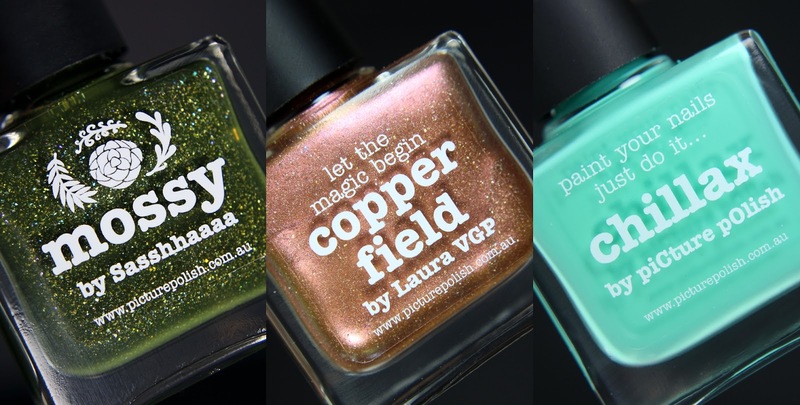 I got the chance to choose 3 piCture pOlish shades to review and I've chosen Mossy, Copper Field and Chillax. I have the brand new F.U.N. Lacquer collection in collaboration with french blogger Iparallaxe to show you today. There are 6 stunning shades in this collection. Today I will show you the Halloween duo from Powder Perfect. 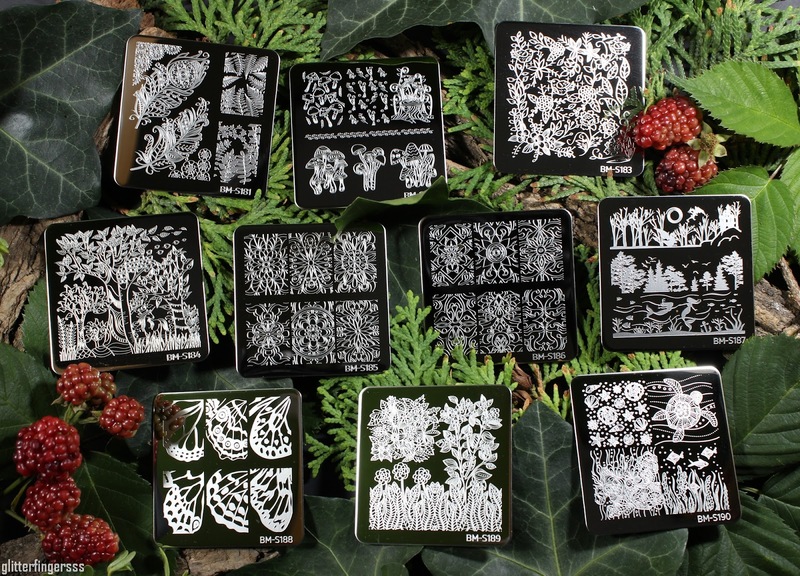 These plates just launched yesterday on the Bundle Monster website. It's called Mystic Woods, and as you can see, it's Set 2, so there's another 10 piece set besides this. I really love the theme, and although not all ot the patterns are for my taste, but most of them I really like. I have the 10 piece Egyptology Series III collection from Powder Perfect to show you today. I got them from Color4Nails for review. 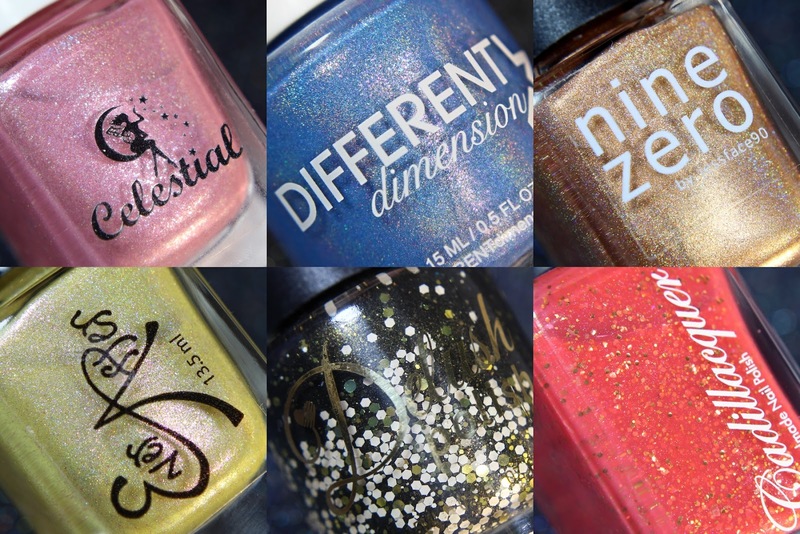 All of the shades have holographic base and they all contain holo microglitters as well. 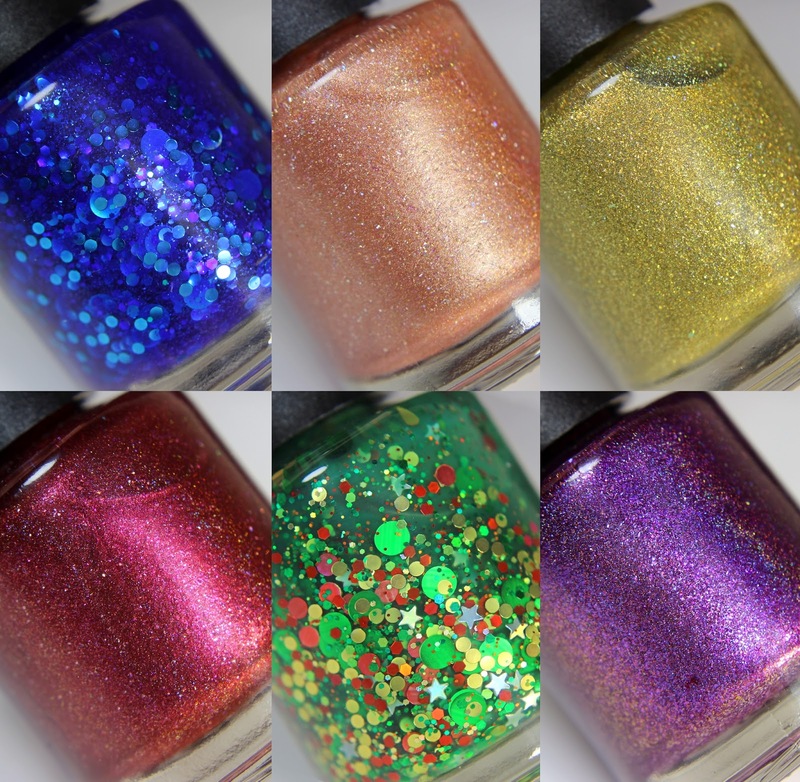 I have the upcoming Gobblefunk Shimmers collection from Glam Polish to show you today. "Celebrating 100 years since the birth of Roald Dahl, one of the world’s best storytellers, our collection is inspired by Gooblefunk, Roald Dahl’s made up language of mixed up words that was inspired by his wife, actress Patricia Neal after she had three strokes in 1965 and suffered from aphasia for a period of time before relearning how to speak, read & write." 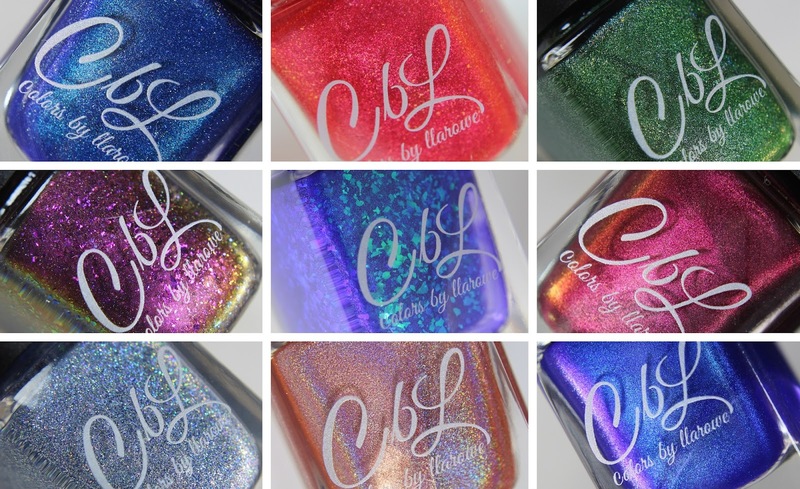 Chrome/multichrome and holographic pigment powders took control of the Internet a couple of months ago, and I feel the hype is still very much on. I don't think there's a human being out there who haven't seen at least one video of the application process. Today I'm going to try out a holographic pigment from Color4Nails for the very first time. 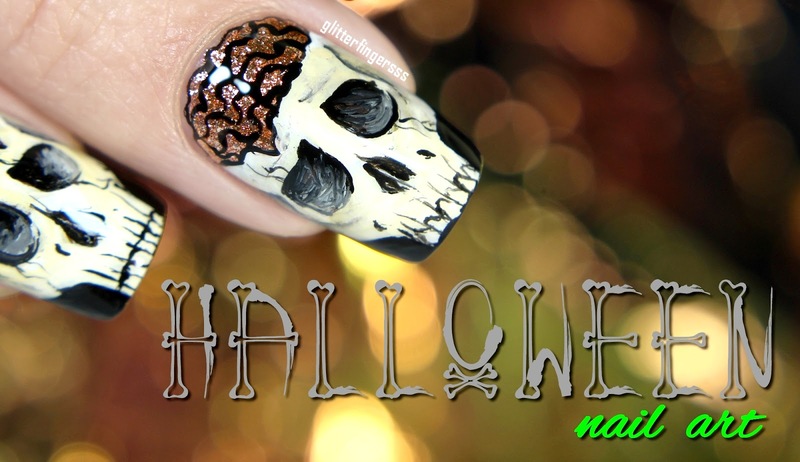 I gathered 3 nail art for today's post, and of course all 3 is in the spirit of Halloween. I'm in total spooky mode in October, so I have so much nail art ideas, but sadly I don't have enough free time to create them all. Hopefully I can make at least 3 more Halloween nails until the end of the month, so in the 2.0 version blog post I can show them to you. 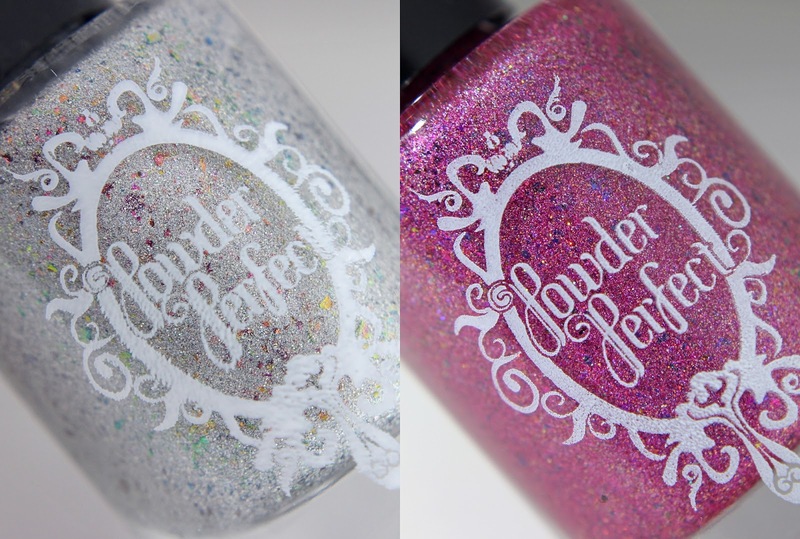 The 3rd Anniversary duo from Powder Perfect is available at Color4Nails right now. Both shades are limited edition, so don't hesitate too much if you like these shades. 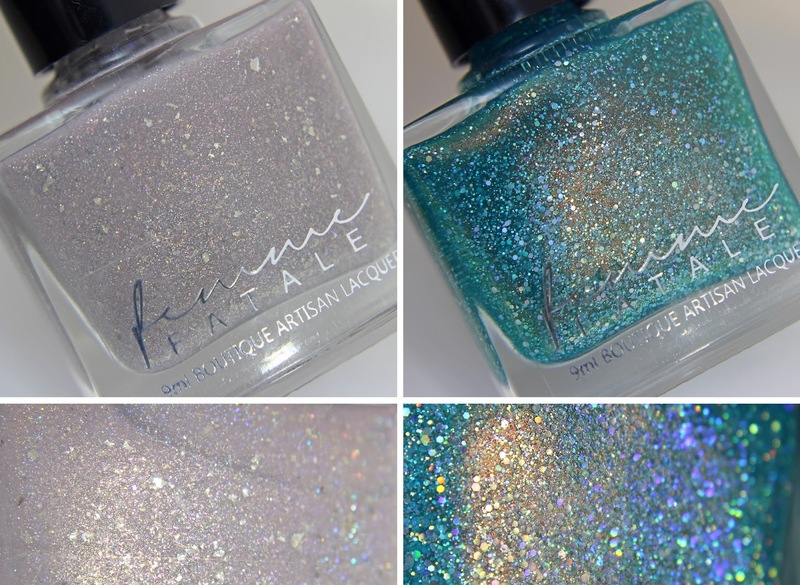 Three nail bloggers were lucky enough to collaborate with Femme Fatale Cosmetics, and today I'm going to show you what they came up with. 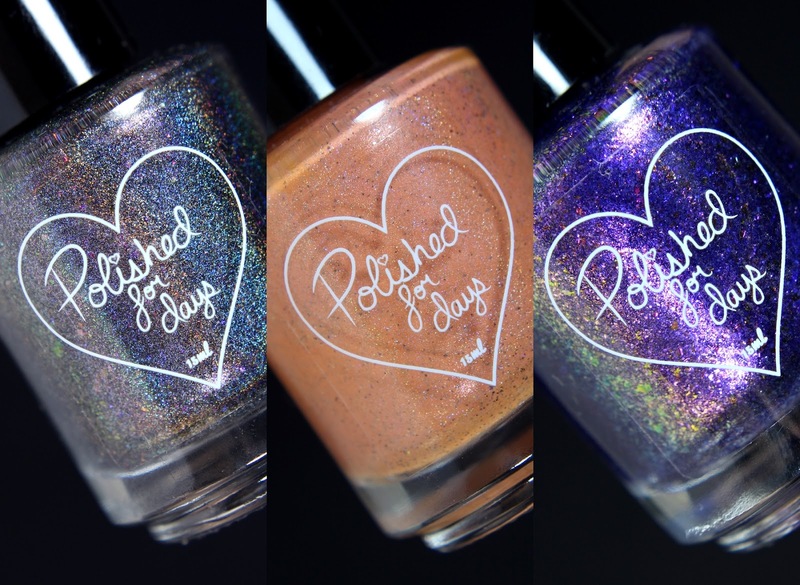 I can finally show you the new Cupcake Polish collection. 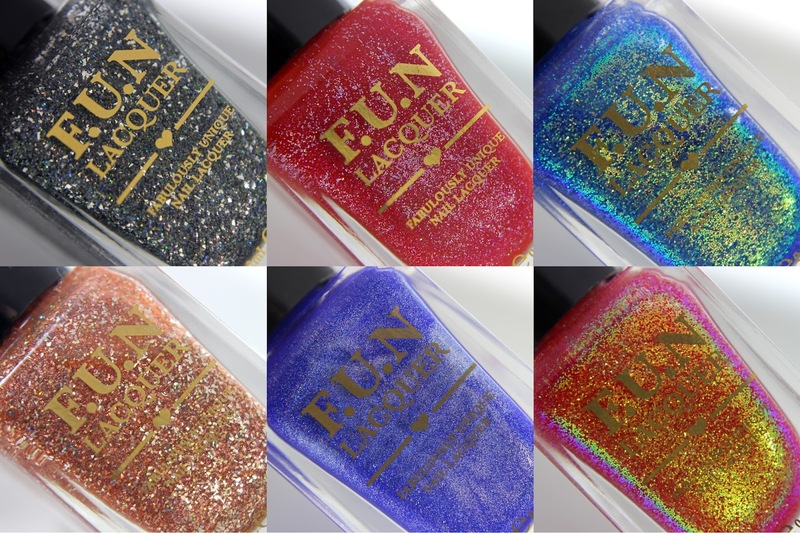 The collection has 6 holographic shades, but this time they contain some shimmer flakes as well. I really like 3 shades from the collection, but the other 3 is a little bit too simple for my taste. New Moo Moo's Signatures collection is coming in our way! The It's All About Spooky collection is a 4 piece set with interesting, spooky shades that are perfect for Halloween! 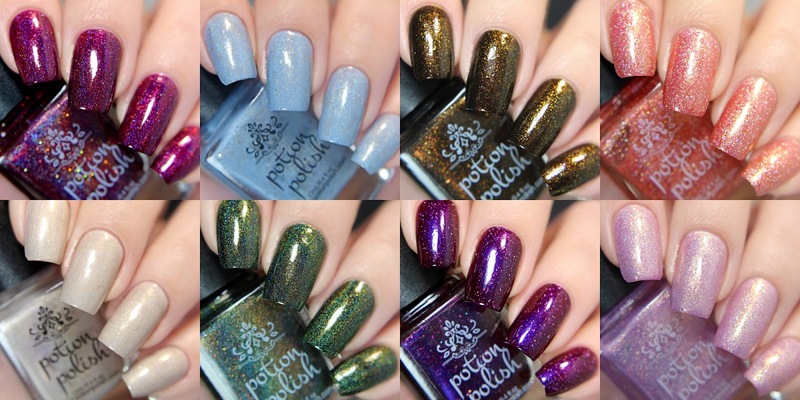 Potion Polish's new Fall collection is just one of the "Fall-est" of nail polish collections! There will be 3 new shades and also 3 (well, 4 in total, but I didn't have the 4th shade) shades from their Fall 2015 collection. I have the Femme Fatale Cosmetics 5th Anniversary trio to show you today. The pre-sale on their website ends today, but they will be available at stockists from mid-October, in limited quantities. 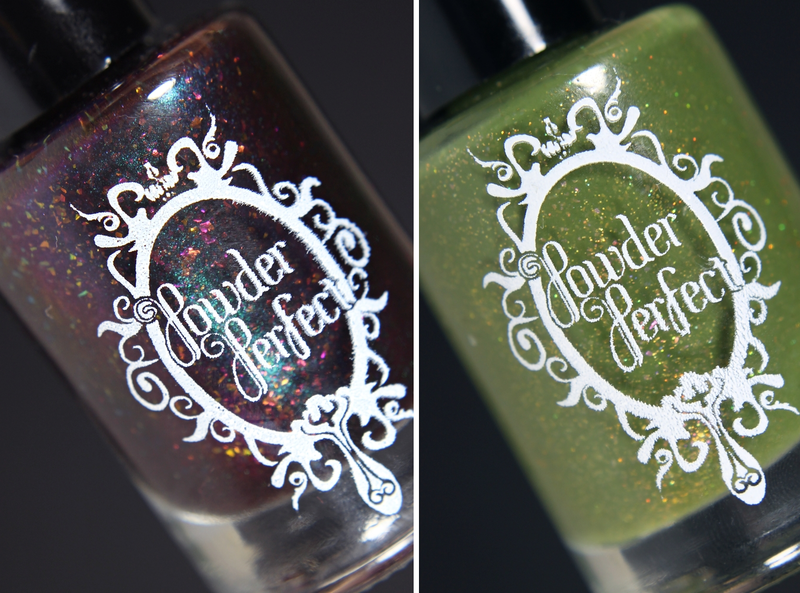 I have the Stormwatch duo from Potion Polish to show you today, they are launching on September 2nd. I have another Pretty Serious Cosmetics collection to show you, this time it's the Serious Business collection. 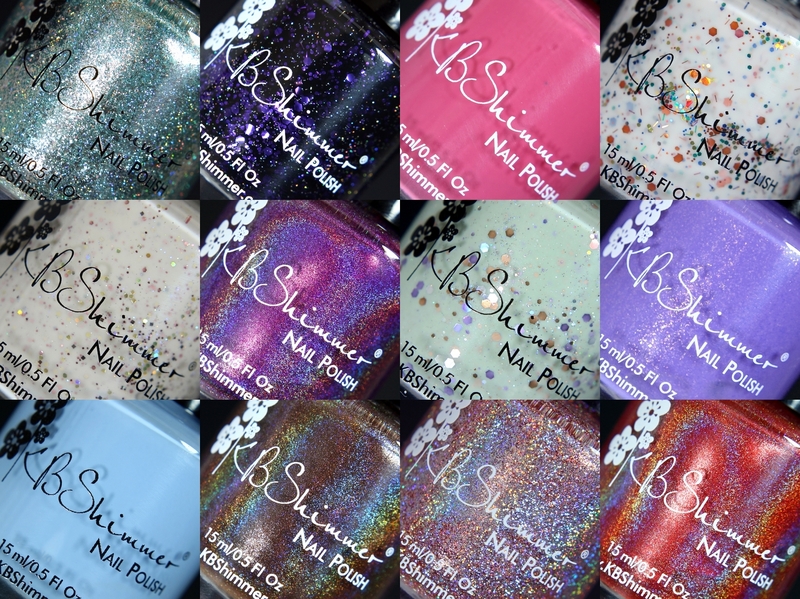 I simply LOVE the names of the polishes! 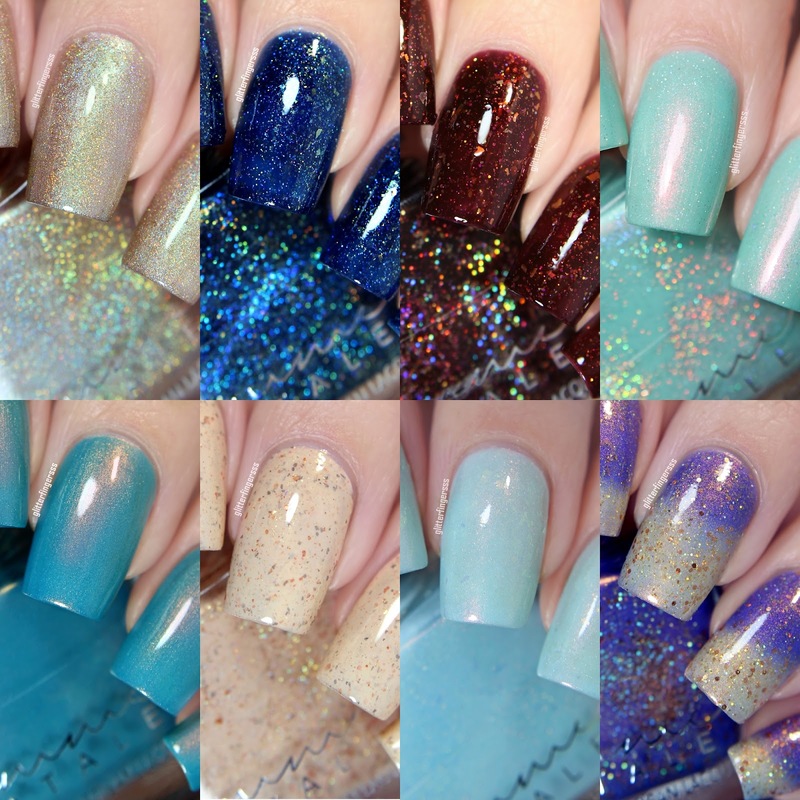 I have swatches of the 2 Color4Nails exclusives by KBShimmer. 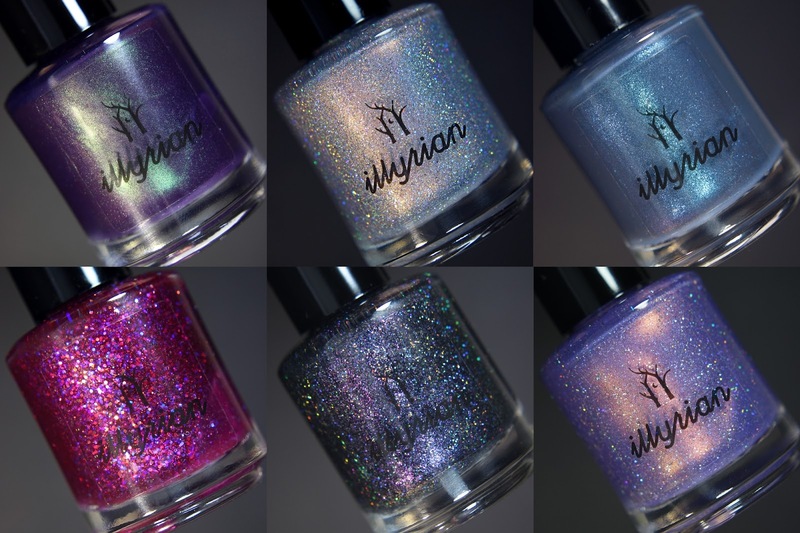 I have two Illyrian Polish swatches to show you, I bought them both from Color4Nails a couple of weeks earlier. Sadly one of them (Gold Lion) went out of stock by the time I was able to write this post, but since I already finished the swatches I thought I will share them anyway. I have two shades from A-England's latest collection Russian Soul that was a PR sample from Nailland. I've chosen these 2 shades: Kalinka and Waltz Of The Flowers.